Anyhoo, here’s the blurb – I hope it’ll tempt you to download a copy of Take Me, I’m Yours, or buy a paperback for yourself or a friend. You’re probably wondering why I have deserted the highlands of Scotland for Lake Michigan. If you download the novel you’ll find the answer in the dedication. In Take Me, I’m Yours the hero Logan MacFarlane quotes Robert Frost, saying that he has ‘promises to keep’. 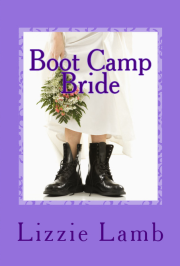 I promised my friend Dee Paulsen that when I left the teaching profession to become a full-time author, I would write a romance set in Wisconsin. Take Me, I’m Yours is that novel. Many years ago we stayed in Door County, Wisconsin. On our last day, we went to Egg Harbor and Cana Island to explore the lighthouses there. Images of that day stayed with me and when I came to write Take Me, I’m Yours, I had no trouble imagining Aunt Elspeth’s dilapidated house with its ancient lighthouse looming over it. The story almost wrote itself because I’d spent many years thinking about it and having conversations with the characters in my head. Here’s how the novel begins . . . 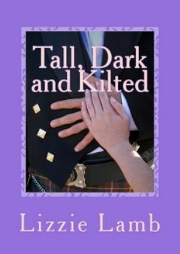 I fell in love with Scotland reading Lizzie’s books, and now with Wisconsin, too! As usual Lizzie’s characters leapt off the page and I felt as if I knew them; loved some and despaired of others. A very satisfying read. Be ready for 19 chapters of pure escapism where witty, ironic dialogues mix skilfully with top romance. If you’d like to read some of Take Me, I’m Yours click here. TMIY is also free to read for Kindle Unlimited and Amazon Prime subscribers. I am proud of this novel and everything I’ve achieved over the last five and a half years as an an indie publisher. 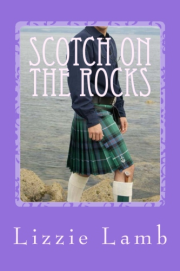 I could rest on my laurels but I am burning to start novel number 6, a ‘road-trip’ romance which will take readers from Cornwall of Scotland on the trail of two runaways. And, of course I have another gorgeous hero waiting in the wings to meet you . . . and a less-than-impressed heroine who will keep him on his toes. footnote: I received an email this morning from Amazon inviting me to enter Take Me, I’m Yours into the Kindle Storyteller Award 2018 judged by Lorraine Kelly and readers. Will I do it? Of course I will – as Del Boy once so famously said: she who dares, wins. It would really increase my chances of being shortlisted if you downloaded a copy and left a review.